In the post-apocalyptic future, two technicians will wrestle with some thorny issues of lifeboat ethics. They happens to be in charge of the lifeboat maintenance, but they are not as stable as you might hope. Complications will most definitely arise in Christian Cantamessa’s AIR (trailer here), the first theatrical release from Walking Dead creator Robert Kirkman’s Skybound shingle, which opens this Friday in New York. Due to war, pestilence, and plague, the Earth’s surface atmosphere has become toxic. An elite lucky few were sent into suspended animation in deep subterranean bunkers. In each lifeboat-like shelter, two not so lucky technicians are roused every six months to run diagnostics and check the sleepers’ vitals. They only have one hour and fifty nine minutes to get back in their pods before all the oxygen is sucked out of the bunker and back into the tanks. Unfortunately, both Bauer and Cartwright are showing signs of stress. The former is becoming increasingly aggressive, while the latter is seeing visions of one of the suspended scientists he clearly fancies. However, his mental projection of Abby often manages to give him rather timely advice. He will need it when his personal pod suffers a malfunction. The apocalypse is usually more compelling on a personal level than on a big macro plane—and AIR is a good case in point. There is something very effectively old school about the one set (albeit a rather complex one, impressively rendered by Brian Kane’s production team) and its two or three character dynamic, depending one’s point-of-view. Cantamessa has a firm handle on close-quarters action, dexterously slamming airlocks and sending Bauer and Cartwright shimmying through air-ducts. Despite its claustrophobic nature, AIR is still quite cinematic looking. No stranger to Kirkman or playing twitchy survivors, Walking Dead’s Norman Reedus has instant credibility as Bauer, yet he still manages to keep the audience off balance with his erratic behavior. Djimon Hounsou is also well cast as Cartwright, the strong, silent, hallucinating type. 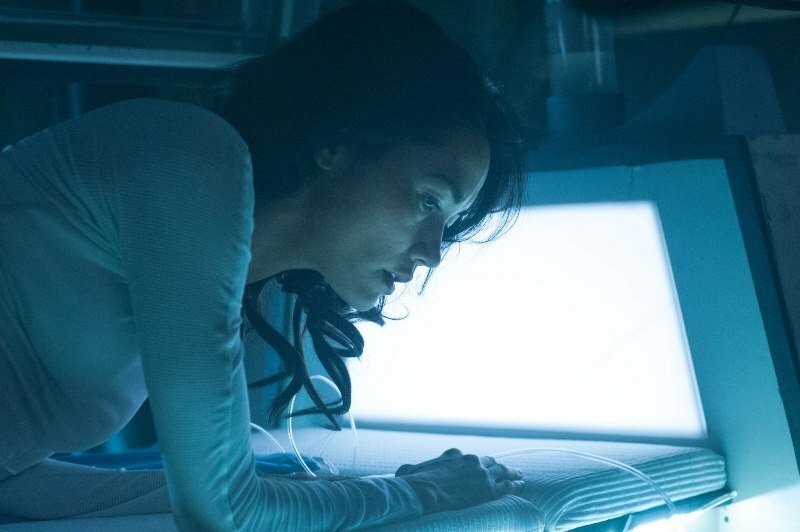 Although nobody could really sink their teeth into a role like the apparitional Abby, Sandrine Holt still has the perfectly cerebral yet sensitive presence to memorably haunt Cartwright and the film. AIR is another fine example of how inventive filmmakers can make tight, tense, relatively action-oriented science fiction with hardly any visual effects to speak of. Granted, it is small in scope, but frankly that is rather refreshing in such an overly bloated genre. 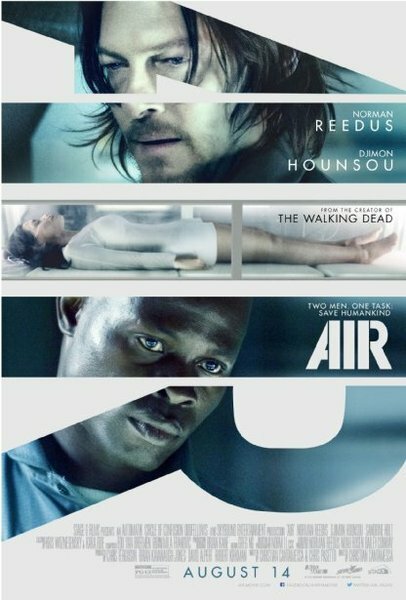 Recommended pretty enthusiastically for fans of Kirkman and post-apocalyptic SF, AIR opens this Friday (8/14) in New York, at the Cinema Village.